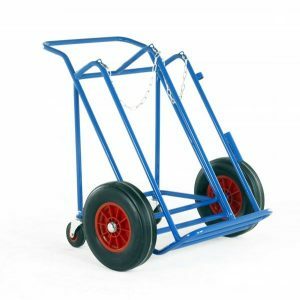 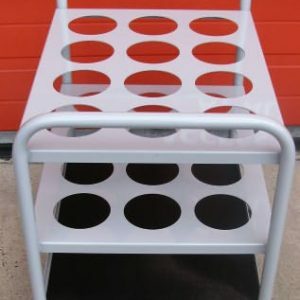 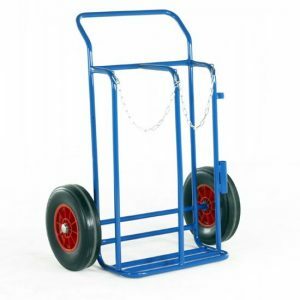 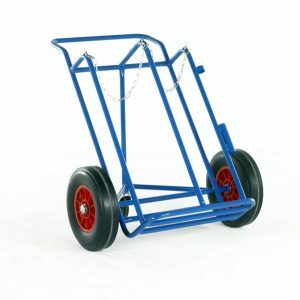 British made trolleys designed especially for Welders. 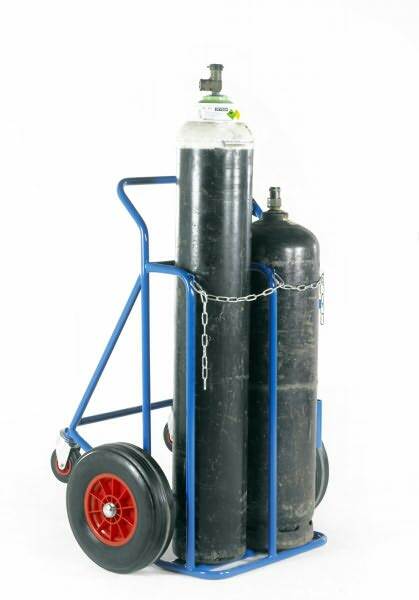 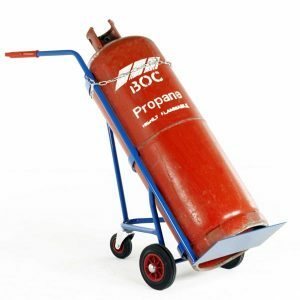 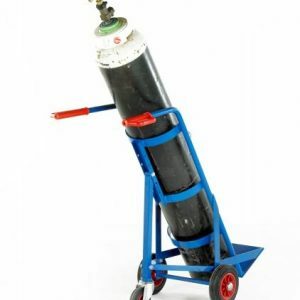 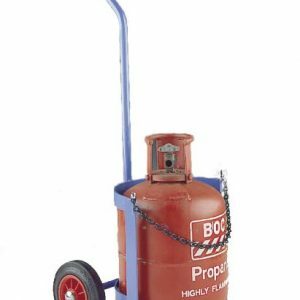 The fourth wheel provides stability when transporting oxygen and acetylene bottles up to 230 and 265mm in diameter. 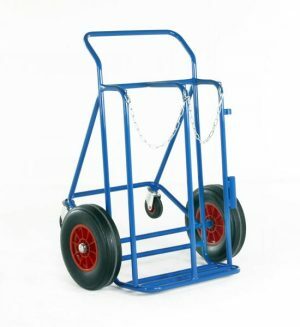 Bottles are held in place with steel link chain.